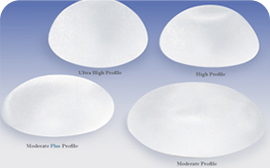 What is Braun teardrop breast implant? It is a surgical method to create soft, natural and teardrop shapebreasts using the teardrop breast implant closest to the breast shape. In particular, by combining the body shape, skin haracteristics, and preference of the patient, the most appropriate surgical technique and the most harmonious and natural implant is selected to create the most beautiful breast line for the patient. If you are dissatisfied with the shape of the breasts or if you need a reoperation due to saggy breasts or capsular contracture, you will get more stable and satisfactory results. The teardrop breast implants minimize the splitting space inside the breast after surgery and maintain a natural teardrop shape. 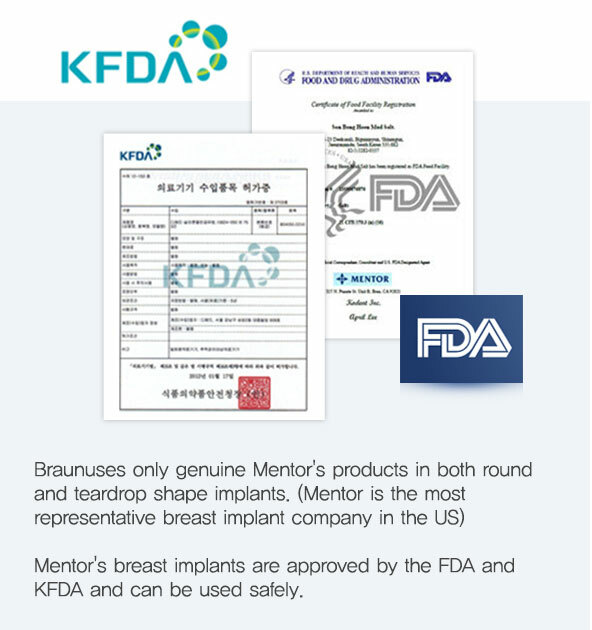 Braun considers the patient's body shape, skin characteristics and preference to choose the most appropriate implant. Even for women with thin skin, less wrinkles are felt and the chances of the upper part of the breast becomingbumpy are reduced. 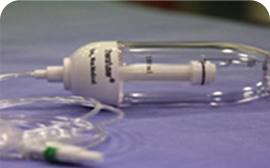 We use state-of-the-art endoscopes to minimize bleeding and pain, reduce side effects such as capsular contracture, and perform more accurate and safer surgeries. Maintain a natural shape that is best suited for the patient and maintain a natural, soft texture without massage. Depending on the surface texture and condition of the implant, it can be divided into a smooth and a textured implant. The textured implant is used to eliminate the need for a massage and allows the patient to recover more comfortably. Patient controlled analgesia system (PCA) reduces the pain for a day as much as possible after the surgery helpingthe patient to recovercomfortably. 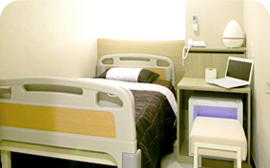 Comfortable and cozy recovery room to ensure postoperative relaxation. Regular highfrequency treatment after surgery helps to remove swelling quickly for faster recovery. It helps regenerate cells at the surgery area to help the tissue recover quickly. After the operation, we carry out thorough medical check-ups and follow-up programs for continuous management. It is a surgical method to create soft, natural and teardrop shape breasts using the teardrop breast implant closest to the breast shape. In particular, by combining the body shape, skin characteristics, and preference of the patient, the most appropriate surgical technique and the most harmonious and natural implant is selected to create the most beautiful breast line for the patient. Patient controlled analgesia system(PCA) reduces the pain for a day as much as possible after the surgery helpingthe patient to recover comfortably.